4A Meet Recap: New Team And Individual Champs! Going into yesterday's events, the UIL 4A races were slated to be two of the best races on the docket. There were individual studs on both the girls and boys sides looking for wins. There were also two teams who were winners of the last four state championships contended in the class. Something was for sure going to have to give or we would see a fifth year of dominance. It turns out that some things definitely gave way. On the girls side, Bandera came out swinging giving it everything they had to shoot for title number five. They were led by freshman Morgan Cole who ran a 12:17.46 for an 18th place finish. The rest of her scoring teammates would all finish within 25 seconds of Cole as they threw their last punch at their fifth title attempt. Unfortunately, for Bandera, their outstanding and valiant effort was not enough this year. A host of Region 1-4A teams would come out swinging hard as well. Canyon, Decatur, and Hereford finished 1,2,3 at the regional meet and finished that way at the state meet, sweeping the three trophy winning positions. In their first year in 4A after being removed from 5A, the Canyon girls girls continued their 2018 undefeated season. Their combination of three seniors and a group of four underclassmen rolled through the course to a 54 point victory. Led by freshman Breanna Stuart's runner-up finish, Canyon had an impressive split of 37 seconds for one through five along with their 12:02 coverage of the course. They were followed by Decatur who scored 94 points at the regional meet and scored even less at the state meet. Senior Hanul Lewis led her Decatur squad with an 11th place finish as Jentry Lamirand and Makenzie Fox joined her in the top 15. Hereford completed the Region 1 sweep. Led by senior Sabbatha Taylor's third place finish, Hereford ran to a sub one minute split and a 12:26 team average. Individually, it was a mad dash to the finish as the top five all finished with in 10 seconds. However, it was eventually state champion Anna Casey's big kick to earn her the win. The Llano sophomore made the jump from last year's 12th place finish to the top spot. Casey who has some absolute burners had to use them in the final stretch. The 2017 4A state 800m champion ran like the world was on fire, using her 2:12 800m speed to make up a lot of ground real quick. Her urgency made an epic finish as she passed up Canyon freshman Breanna Stuart in the final meters. The boys 4A also had a four time state champion go down. San Elizario has been dominant the last four plus years. They have the last four 4A state meet trophies in their trophy case back and home and looked to be en route to number five until the regional meet. They were third at the Region 1-4A meet behind Andrews and Canyon. Things were still optimistic for a recovery at the state meet, but it wasn't meant to be. This team battle was also a rematch between Region 1 competitors. However, the order would be shuffled as the last team to qualify out of the region would take the win. 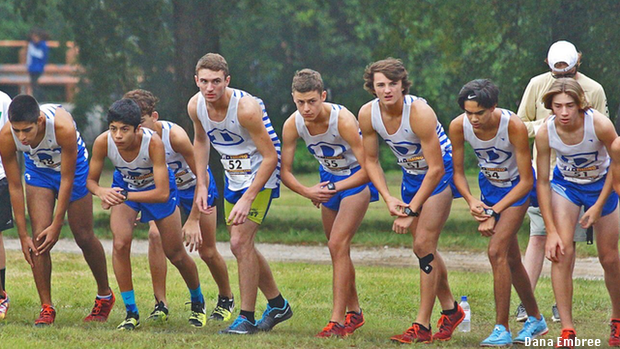 The Decatur boys were fourth at regionals, but capitalized on things yesterday. Being 54 points behind regional winners Andrews in Lubbock, Decatur turned things around in Round Rock to beat them for the overall team win by 2 points. Led by junior Triston Read's 10th place finish, Decatur ran a 16:43 team average, which was just one second faster than runner-up Andrews. Andrews was ultra impressive themselves with their 16:44 team average and 51 second split. San Elizario still managed to run to a podium finish as they were third place overall. Individually, Region 4 belongs to the youngsters. Three sophomores go 1, 2 3. Melissa sophomore Judson Greer won the race by less than four seconds over 2017 individual champion Edwin Gomez of San Elizario. Greer and Gomez battled in last year's race where Greer was third overall. Another strong sophomore finish was from Canyon's Samuel Ashley. He finished third overall going 15:40 improving from last year's 16:10 and 38th place finish.